Blend Bar & Bistro has been open for over a year and half now and for some reason I just hadn’t been able to make the time to check it out. Even though several people had recommended I do so simply because of the beer line up. However, one of my drinking buddies recently invited me to join him and a few other beer buddies for the North Coast Tap Takeover at Blend and decided it was finally time to see what’s what. Blend is located in Route 33 in Hamilton, NJ in a small little shopping center/strip ball. Nothing about the outside leads one to believe it’s much of anything but I was pleasantly surprised upon entering the establishment. 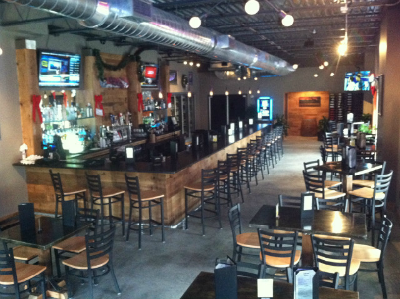 I personally love the industrial décor, open ceilings, use of recycled materials, long bar and nice sturdy wood tables. This Gal also loves when love businesses support local artist and Blend does just that by showcasing local artist work on the walls. Blend is exactly what the owners say it is – a bar. 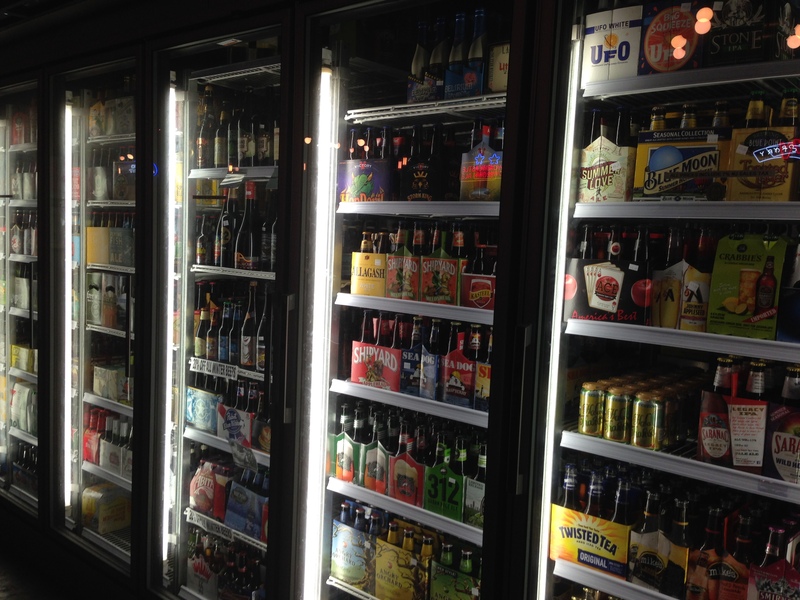 This is a full service bar at that; that is becoming known in the area for their craft beer selection. They have 12 taps 8 of which are dedicated to a lineup of rotating craft beers and 4 are still dedicated to, well, swill. They also offer a take home package section with a pretty nice selection. I’ve seen better but then again this isn’t a full service beer store but a bar that happens to offer six packs for sale. Didn’t try the any of the food menu offerings on this visit but did take a quick look at the menu. It’s a small limited to apps, sandwiches and salads offerings that are both meat and vegetarian friendly. Really just the right size menu for a bar. Now onto the beer. Since it was a North Coast Brewing Tap Takeover I decided enjoy one of their offerings first. I’ve had the pleasure of enjoying this beer previously but do love when I find it on tap. It’s a beauty with a nice rich black color and a full creamy head with just the right balance of roasted coffee, bitter chocolate, malts a small kick of hops at the end. A nice stout that goes down smoothly. Right out of the gate one can smell and taste the alcohol in the beer. It pours a nice deep ruby amber color with a small head. It has a slight sweet taste to it that is not over powering but helps to balances the bitterness that is there as well. When I say balance I really mean this beer is a nice balance of sweet/bitter and hops/malts that finishes with a slight caramel taste that fades away delicately. A black saison is just crazy talk which translates to this Gal having to try it. Holy Pepper! You start with pepper and finish with pepper but in between there is a nice Saison with fruit tones, sweet malt and that nice yeasty body Saisons offer. Personally, I would prefer this beer with food rather than just drinking it on its own but very happy that tried it. 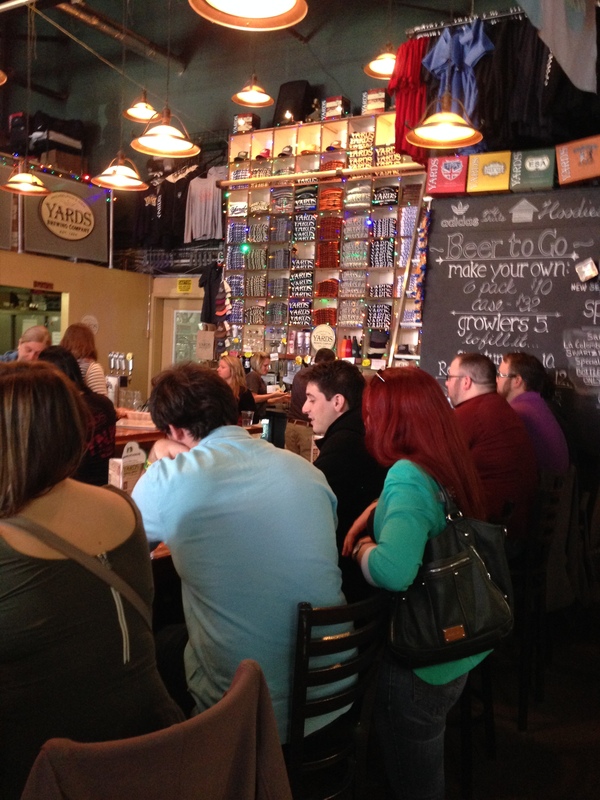 I think Blend Bar & Bistro is continuing to grow and make it’s mark in the craft beer bar world. They continually offer and support new breweries, host craft beer nights, as well as, craft beer festivals. Coming up in June is the New Jersey 350th Birthday NJ Craft Beer Party. Back in April I suddenly found myself with a free Saturday, which is rare occurrence in this Gal’s life as of late, so I decided to take full advantage of the day, a beauty at that, and get caught up on some overdue chores and errands. As a reward I treated myself with a jaunt to Philly. I had been feeling the pull to revisit Provenance Architecturals and see if anything inspired this Gal. Provenance is a great salvage place that inspires one to be creative. Oh and it also happens to be located right across the street from Yards Brewing. So once I had my fill of inspiration I walked, really ran for dear life after all its Delaware Avenue, across the street to Yards. It was later in afternoon and I had figured a nice beer or two would complete this wonderful day. 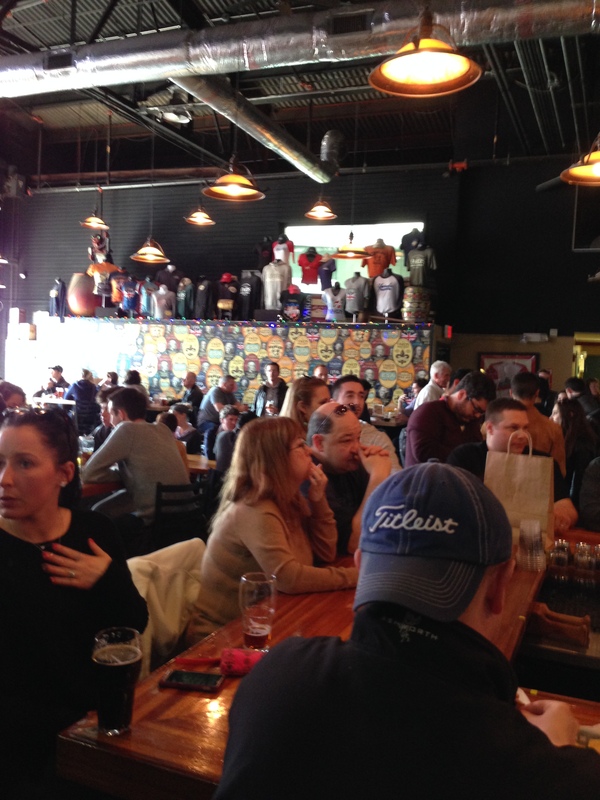 I had planned that the brewery would be hopping but I did not expect the crowd that was there. Holy Cow the place was packed. At first I thought maybe there was some sort of event going on but I came to find out that every Saturday it’s a jumping. Even with the crowd I managed to make my way up to the bar pretty easily. Normally, I would prefer a taster round but didn’t feel like balancing a taster paddle while standing in my little corner of the world. 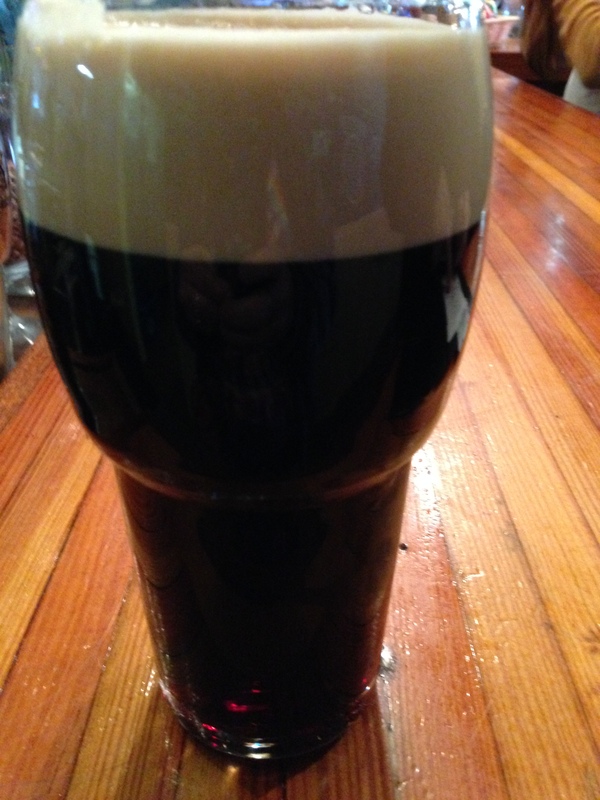 Since the taster was out of the question I decided to go for a pint of one of my favorites…Love Stout. Yum! While enjoying my little piece of roasted malty goodness I noticed a free bar stool on the other side of the room and was able to weasel my way over. Score! Since I had planted myself on a stool I figured I might as well stay and enjoy some more delish beer. I noticed they offered two different taster rounds/flights. Revolutionary Flight: George Washington Tavern Porter, Thomas Jefferson Tavern Ale, Poor Richards Tavern Spruce & Love Stout the other flight was the Signature Flight: Brawler (my go to beer for sitting out on my deck), Extra Special Ale, Philadelphia Pale Ale and IPA. Both nice flights but not really what I was in the mood for so I asked one of the many bartenders working if I could make up a flight – Sure Thing! 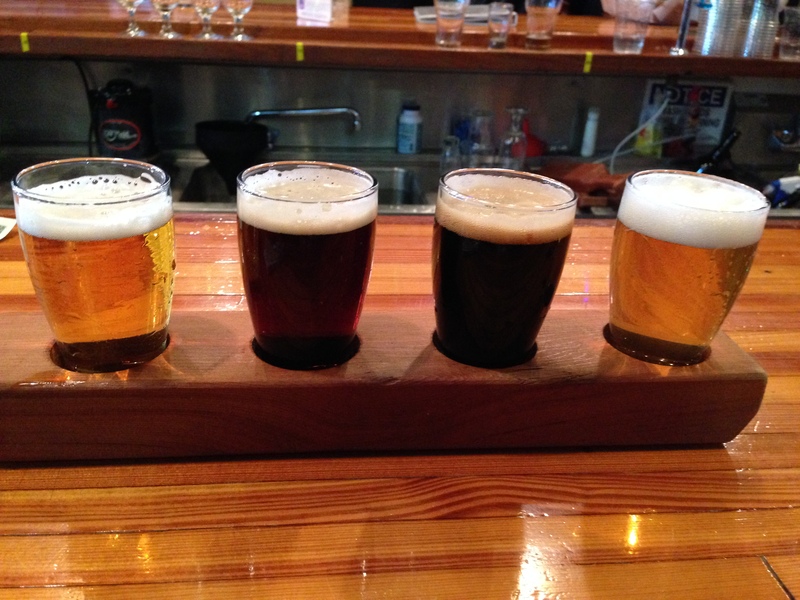 Geeky Beer Gal Flight: Saison, La Colombe Corsica Coffee Love Stout, Swartzbier and the Special Belgian Triple. 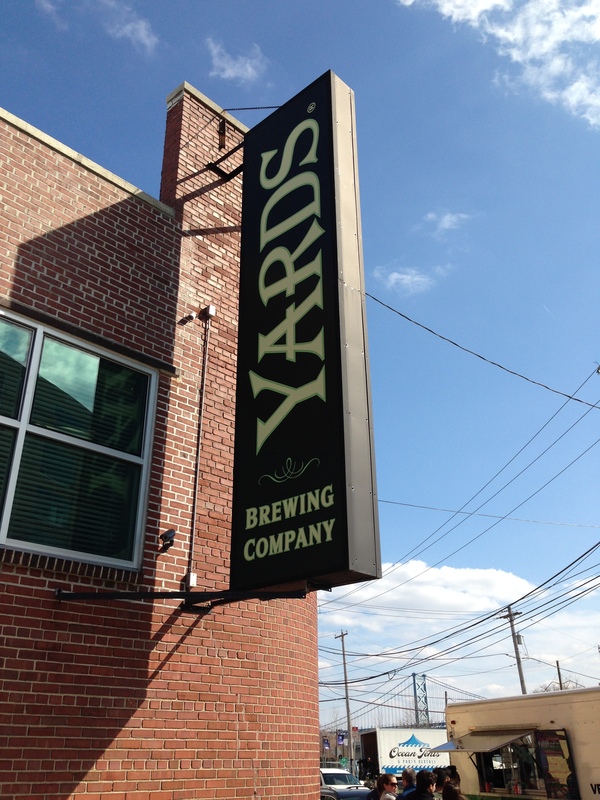 Yards offers tours of the brewery, which I enjoyed on a past visit, and the tasting room has picnic and regular tables for hanging at, a nice size bar and pool tables plus a menu that is meat and vegetarian friendly. Also, every Saturday is Food Truck Saturday featuring a local food truck right outside the Tasting Room. Yards really is a place where a group of friends can chill for an afternoon or evening. I have to give a shout out to the staff and their exceptional service. I can’t emphasis enough how busy this place was and yet they kept up with everyone’s drink and food orders, kept the place clean and things moving smoothly plus were accommodating to everyone. High fives all around! 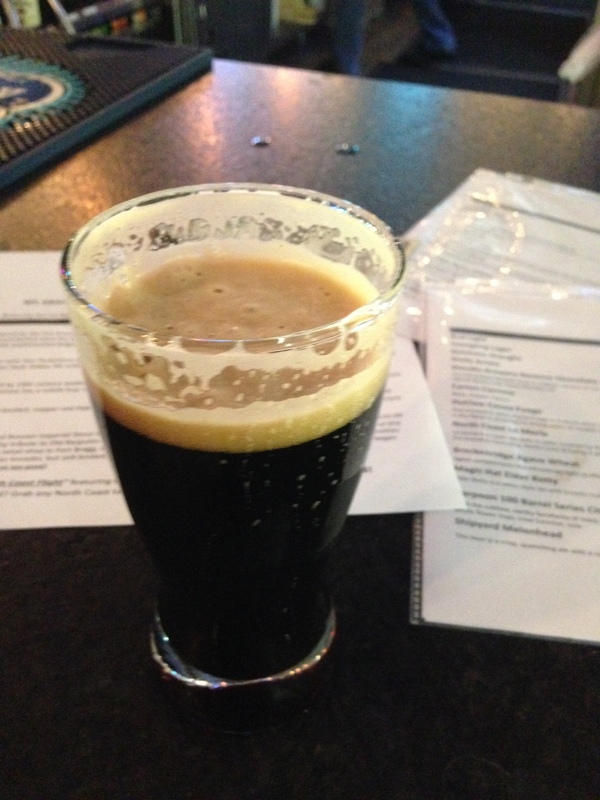 Love Stout 5% – Sometimes I forget how much I enjoy this beer. This is a really smooth stout that has a nice balance of coffee, chocolate, roasted malts and just a tinge of earthy hops. Saison 6.5% – Nice fruity presence with hints of pepper and coriander that pours a hazy golden color and finishes with just a touch of bitterness. Would go nicely with Indian or Thai cuisine. 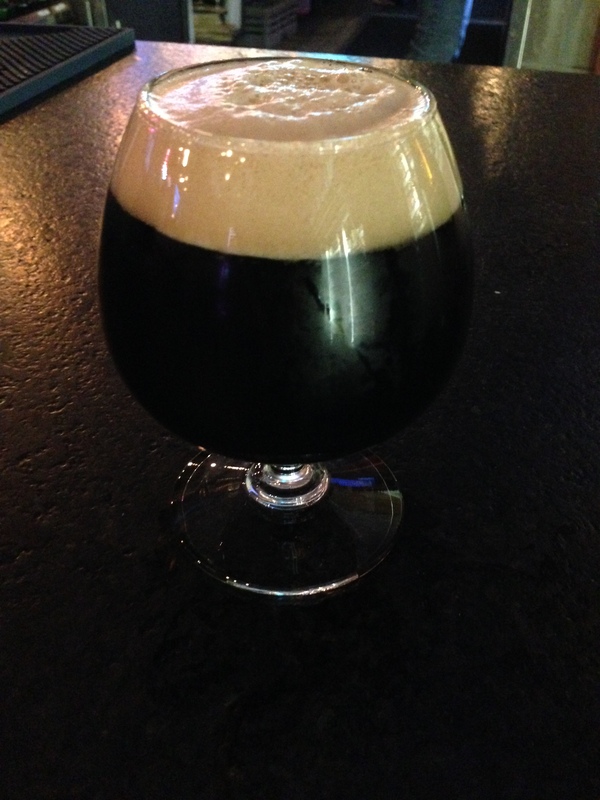 La Colombe Corsica Coffee Love Stout 5.5% – Wow, wow, wow. Upon drinking this I felt like I stuck an IV of coffee in my body. Very nice but the coffee was a bit overpowering for me and usually I love a strong coffee taste to my stouts. Nice dark body but really couldn’t taste much but the coffee. This Gal is staying with the regular Love Stout. Swartzbier 6% – Nice medium body German style beer that pours a nice reddish/brown color with a slight roasted chicory taste and bittersweet tones that linger in the mouth. Special Belgian Triple 8% – Oh how I love a Tripel! Not much of a nose by very smooth with a nice clear body. Not one particular over powering flavor, very balanced and easy to drink which could be a bit dangerous coming in at 8%. 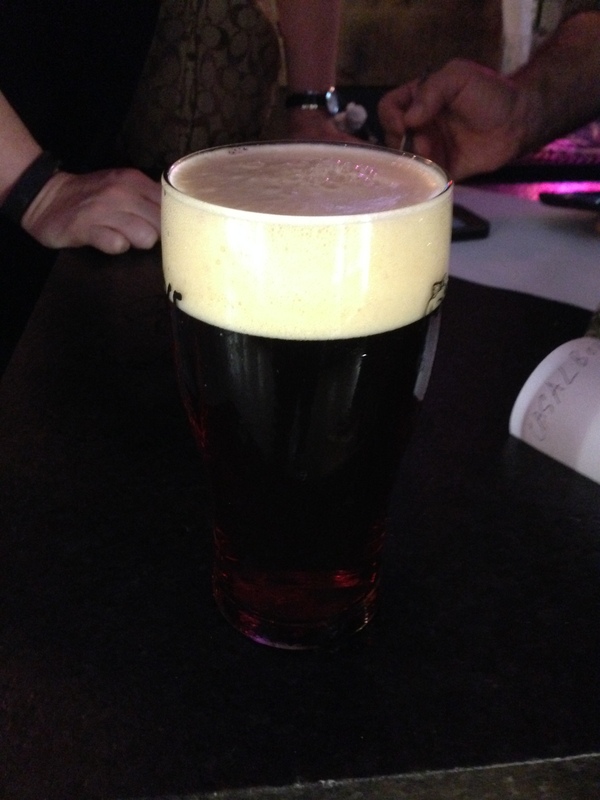 Southern English Brown 5.3% (small taste) – nice nutty nose, very smooth and delish. Overall a very well down brown.